Since I'm a huge fan of rabbits it was, for a long time, a dream for me to visit Okunoshima Island, also called "rabbit island." Okunoshima Island (大 久 野 島) is located in Hiroshima Prefecture and belongs to the administrative district of Takehara City. Unfortunately, I'm living in Tokyo and Hiroshima Prefecture is very far away (4hrs by Shinkansen) and Shinkansen tickets are very pricy. I love to use local trains, especially if I can use the very reasonable Seishun 18 Ticket. I found a friend who was crazy enough to go the whole way from Tokyo to Tadanoumi station by local train in 14 hrs. It was really a very long train ride but it also made our friendship stronger. The Okunoshima Island can be reached by ferry from the station "Tadanumi". However, you should note the departure times, as they do not coincide with the train times. Also, these days the island got very popular, so much so that it is sometimes not possible to get a spot on the ferry and you have to wait for the next one. The one way fare is 310 yen. 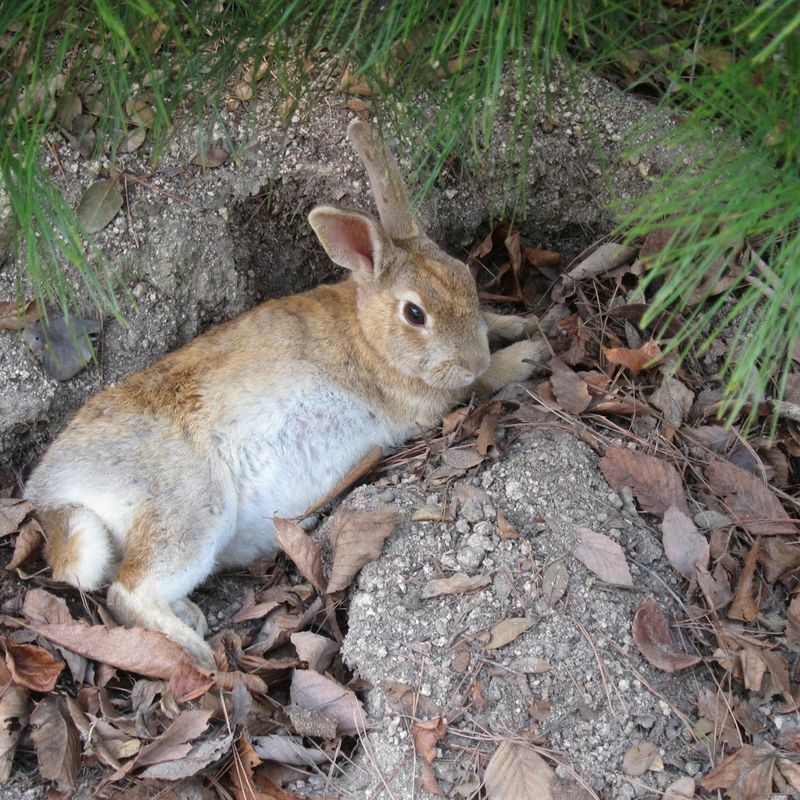 Okunoshima Island is not only popular for all the rabbits but also for its kind of negative history. 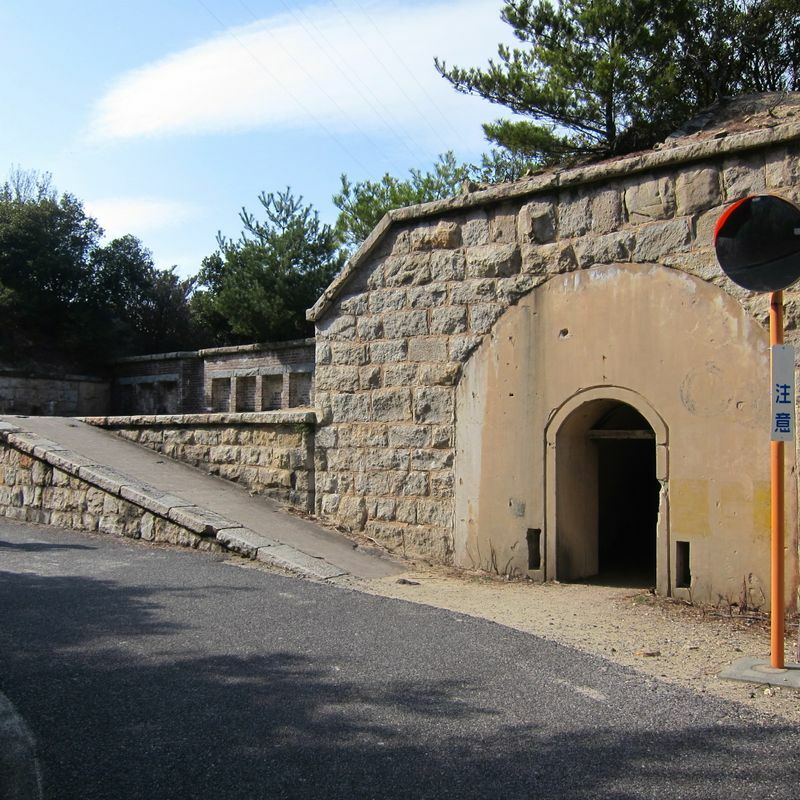 From 1926 - 1945 poison gas was produced on the island, which is why many ruins and warehouses from that time are still present (of course, they are empty now). In the 1930s, the island was declared a military restricted area, with the result that it was cut out of all registers and on maps. For the production of poison gas, rabbits were used as experimental objects, because rats, dogs or cats are more likely to spread diseases. Nowadays, there is a hotel with a swimming pool and camping area on the island. You can also explore the island by bike or on foot. To climb the mountain in the middle of the island you need about 30 minutes, but from the top you will have a beautiful view over the surrounding islands. Since rabbits were used as experimental animals (and after closure or blowing up of the plant no one cared about them) they multiplied rapidly on the island. Nowadays the rabbits are almost the only major wild animals on the island, because they have no natural enemies (except crows). Due to the many visitors to the island, the animals have become very accustomed to people and run after you when you have food. However, it is not recommended to touch the rabbits, because you never know what diseases or parasite they have. Also, some can get very aggressive when they are hungry and don't get food. Note that you can't buy rabbit food on the island (except in the hotel). 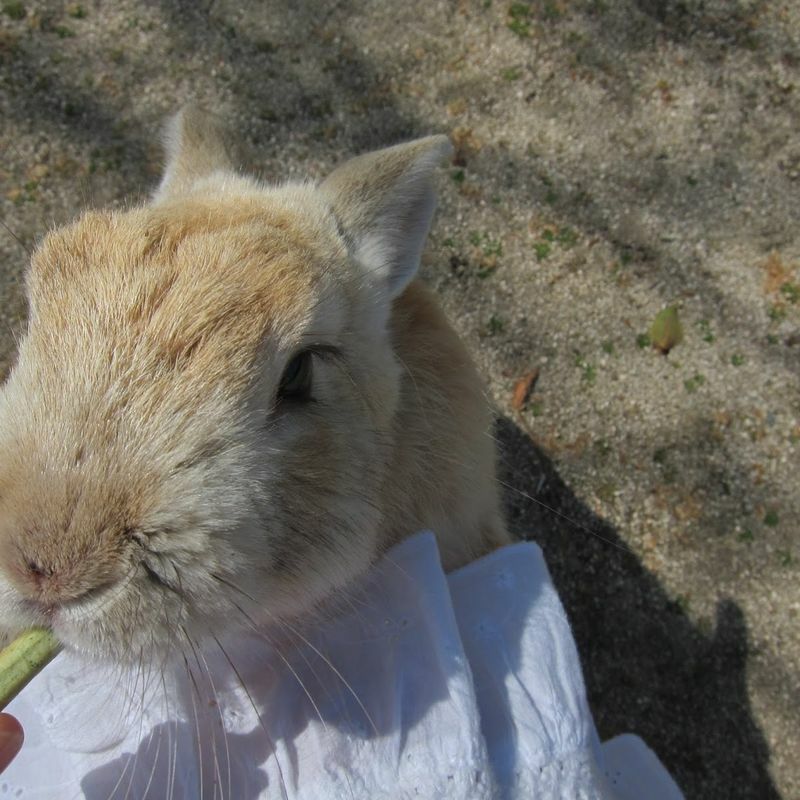 Instead, rabbit food can be bought in advance at the drop off port for 100 yen. 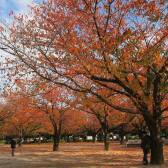 If you want to visit the island, I would recommend going there in early spring or autumn, when it's not so hot. Otherwise the rabbits will just sleep in their holes and don't want to be disturbed. Okunoshima also has a lot to offer in terms of nature. There are beautiful sand beaches and tropical flowers and palm trees all over the island that you definitely should not miss. I can only recommend the visit to the island. A dream came true for me!